In Assassin’s Creed Odyssey, in addition to the many secrets, there are also the hidden tombs. In most cases, the entrance is hidden, you have to solve puzzles to find a grave and finish successfully. Once you have found the Ancient Stele in a tomb, this tomb is complete. But you should not immediately disappear from the grave, often hidden treasures are waiting for you. In this guide we show you the next tomb, Tomb of Polybotes. 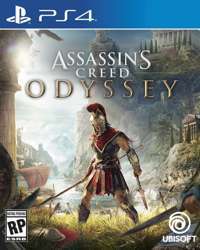 If you are looking for a complete overview of all trophies and achievements or other puzzle solutions, here is our Assassin's Creed Odyssey 100% Walkthrough.